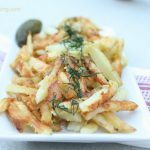 Ukrainian pan-fried potatoes are not your ordinary drive thru fries… This classic potato dish is quick and easy to prepare and is very common in the Slavic culture. 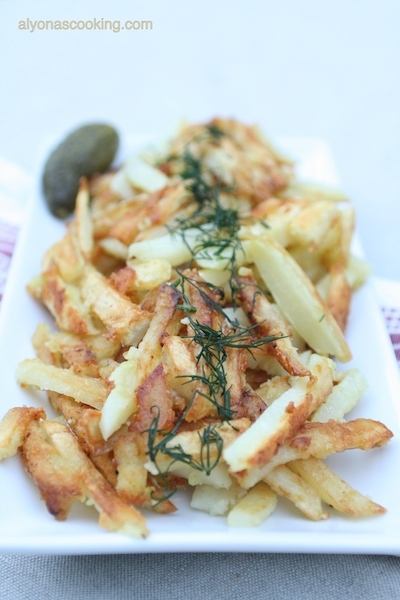 These homemade Ukrainian fries are usually pan-fried over medium heat with a lid on for some time to throughly cook the potatoes. Then they finish off by cooking with the lid off about the last 5 minutes or so resulting in semi-soft insides and a crusty exterior. It’s very crucial not to over crowd the skillet or over mix these as they can get mushy and go wrong, but no worries I will try my best to show you how it’s done. Maybe that’s why these are so simple after all, because you don’t really need to do much mixing, just leave them in and try not to touch them or uncover them frequently. 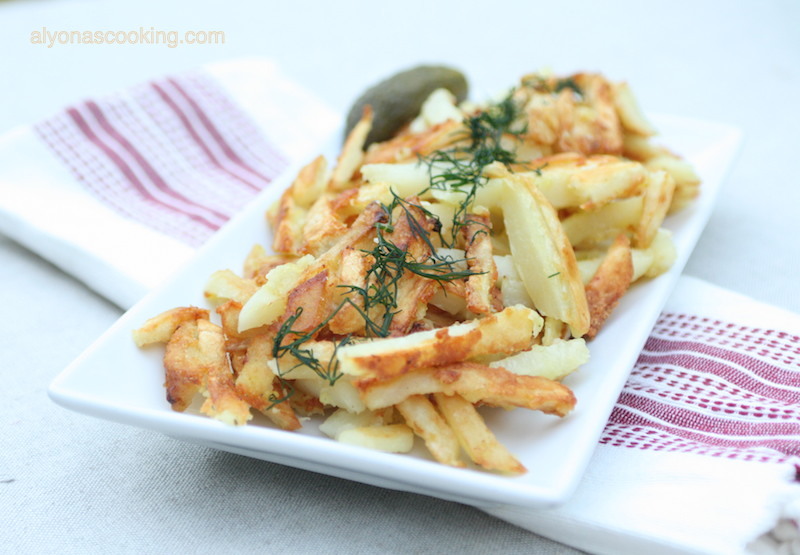 Serve with dill pickles and you have a hearty delicious classic here, Enjoy! 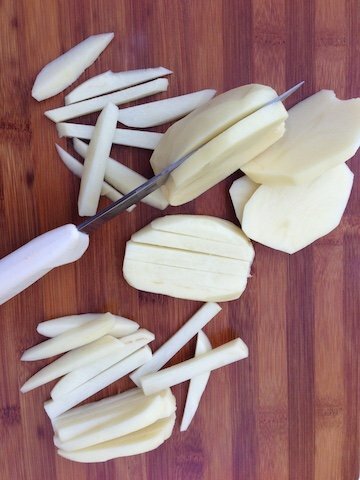 Peel, wash and cut potatoes into stripes. (I cut my potatoes into rings, then each ring into 4-5 stripes depending on the size of potato). Heat a large skillet over medium heat. Add 10 tbsp of vegetable oil to the preheated skillet and then add the potatoes, spreading out the potatoes evenly over the skillet. 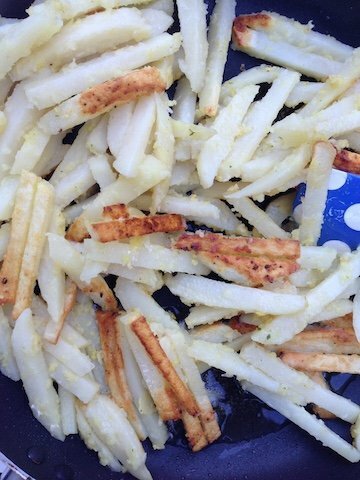 It is okay if some of the potatoes don’t touch the skillet we are not achieving identically fried potatoes here. Cover with a lid and fry for 20 minutes covered over medium heat. Stir every 5 minutes. Do not open lid frequently or mix a lot as this can result in mushy potatoes and not crisp up nicely. Make sure your heat is about medium because if it’s too high, you may burn the potatoes and if it’s too low, you may end up with soggy potatoes that won’t get golden. After 20 minutes, remove lid, stir and fry uncovered for 5 more minutes. 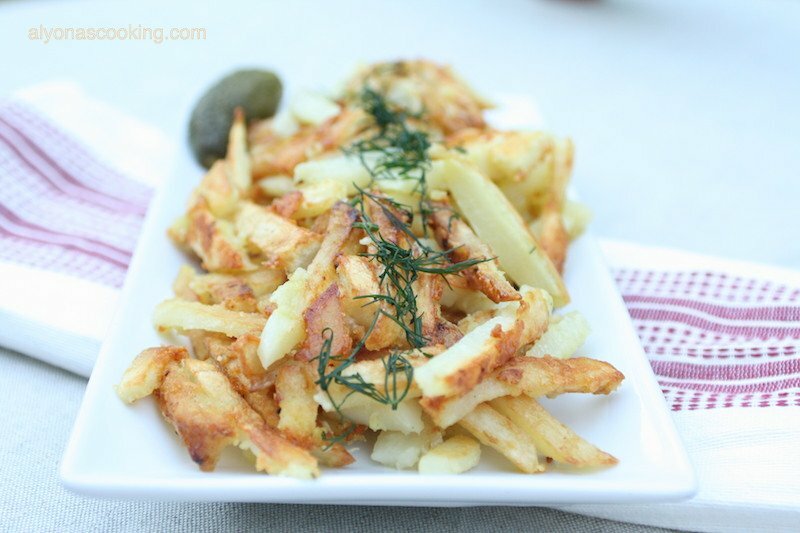 You are done, serve with dill pickles! 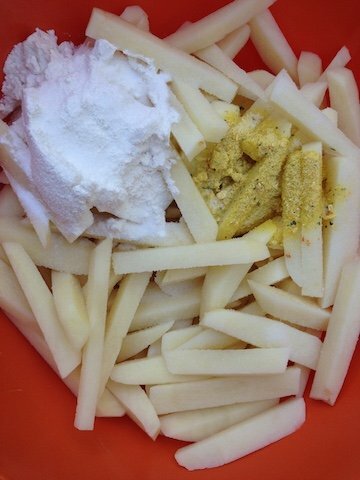 Peel, wash and cut the potatoes into stripes. 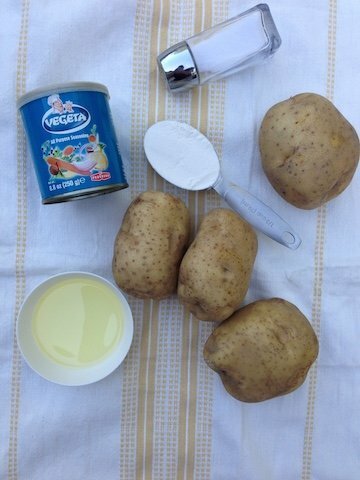 In a large bowl combine the cut potatoes, salt, vegeta and flour; toss well. Add 10 tbsp of oil to skillet (make sure your skillet is preheated and hot) and then add the potatoes; cover and cook over medium heat for 20 minutes stirring every 5 minutes. After 20 minutes remove lid, stir and cook uncovered for 5 minutes. Turn off stove; transfer potatoes to a plate and serve.